Well, it's far easier said than done. I have experienced problems with Gleaming Beauty for a number of years, as well as Wilhelm, the Astral Silver 6.9 that I used to own, but is now in the hands of ChrisP., domiciled in WA. With Gleaming Beauty, I had one somewhat unsuccessful visit to one experienced Mercedes mechanic, with not a lot of success, and in the end I really gave up - too time consuming to be travelling to and from his workshop. With "Wilhelm", another experienced MB mechanic, also had at least two attempts to get things working but, again in the end, he failed to fix the problem, whatever it was or were, on at least two occasions. Very disappointing, as money changed hands each and every time for no permanent fix. Last edited by Styria; 21st March 2011 at 06:06 PM. 1. The vacuum pump I bought, as well as some components of the system. a. The master switch located on the driver's door - a most important component. b. 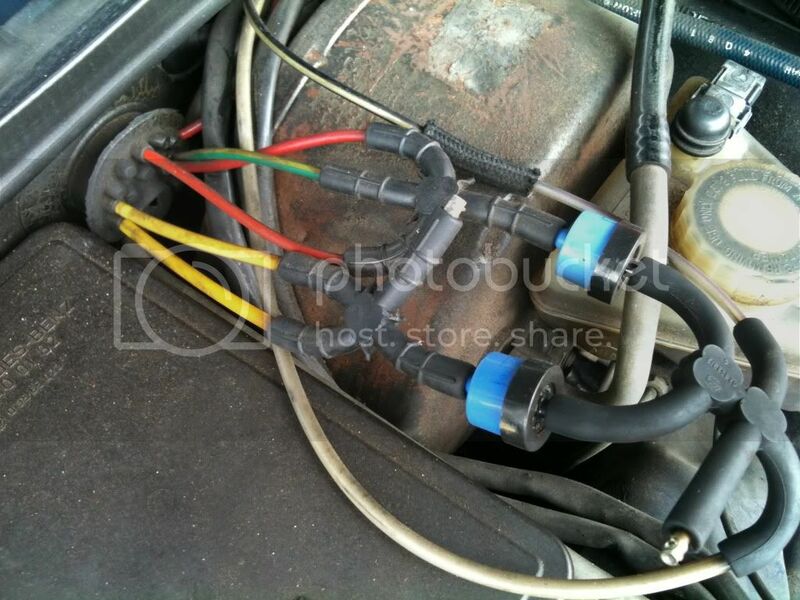 The blue/black one way valves located in the engine compartment. There is another one of those valves well behind the instrument panel. c. The vacuum pipes - again under the bonnet. 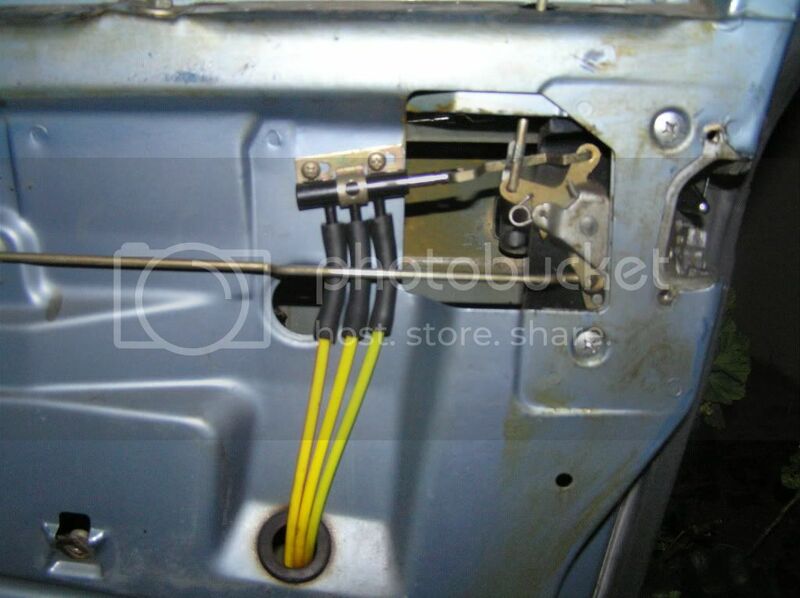 In order to test the system, it is essential to remove the driver's door trim and disconnect the y/r (locking) and the y/green (unlocking) lines. 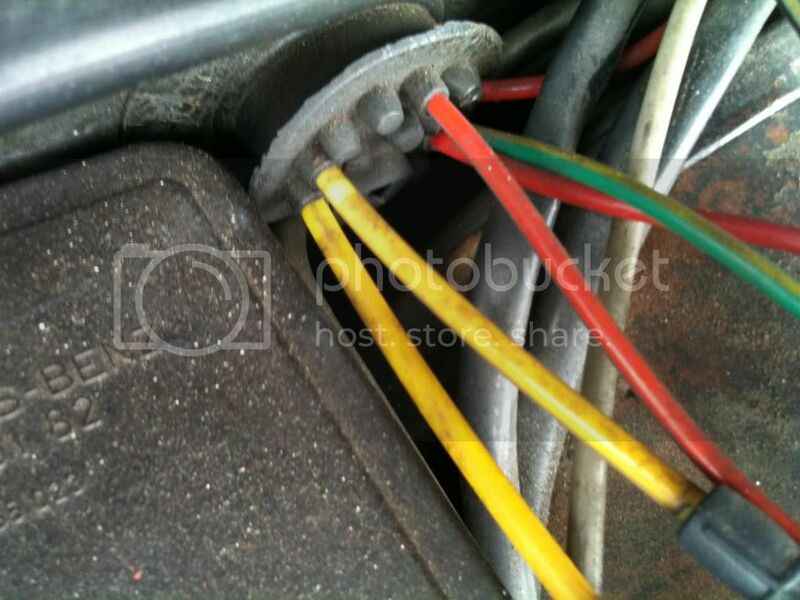 In addition, it is essential to disconnect the yellow/grey line that leads to the main reservoir located under the parcel shelf in the boot, AND BLOCK IT OFF. is at fault - in other words, don't hold the pressure. You will need to test one at a time, and it is also essential to establish that the two blue/black one way valves under the bonnet are holding pressure - these are tested with the vacuum pump. As far as the diaphragms are concerned, you will more than likely have to remove the trims (doors, r/s of boot and rear of boot) to gain access to these valves. Naturally, whichever component is at fault, will need to be replaced. The master switch on the driver's door distributes air provided by the plain yellow middle vacuum line to either the locking/unlocking lines governed by the lock operation carried out with your key, or the positioning of the locking/unlocking button. I still haven't quite gotten to a locking problem with Gleaming Beauty - so far it has defied my attempts to rectify that part of the operation. 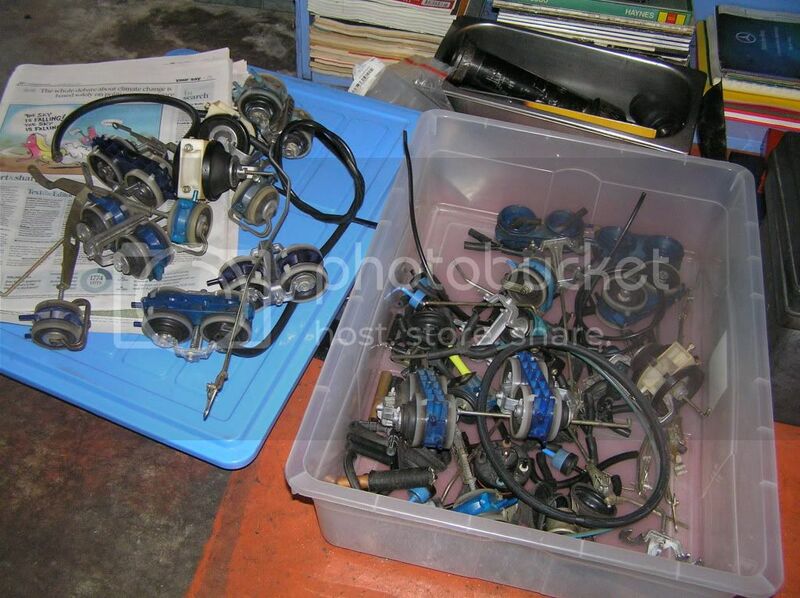 One other item(s) to have on hand is a copious supply of spare parts, by way of diaphragms, piping and master switches. All of those I bought, or salvaged from cars that I dismantled. See the last picture. Last edited by Styria; 21st March 2011 at 06:08 PM. You are truly a Gent and a Scholar Styria! Having dealt with Vac issues on other makes I usually found that replacing ALL one way valve pots was a good move as a starting point as over time condense and dust tends to make them less efficient. The question is are they available and if so at what cost? BTW, are they Golf Tee's in your Vac fix kit? If the system won't hold vacuum, I am just figuring that the rubber sleeve connectors have aged enough to let air in at the joints, or I figure much less likely, a plastic line may have a tiny split. If the sleeves are the cause of the problem, they don't appear to be too expensive to replace. Some of the plastic tubing had become brittle as well on my car and if left undisturbed is often OK but if you do a repair and move it it can snap - this happened when I replaced my blower motor - the length that runs under the dash up in the left hand corner where it can presumably get some heat off hot metal exposed to the sun. I assume if you are going to start to repair this system doing the lot has some advantages. There is a diagnostic flow chart for the HVAC part in the workshop manual. Hi Tony, the "metal part bracket" connects to the rods that lead to the lock-unlock buttons on all doors except for the driver's door. Thus you have the twin diaphragms that react to suction from the system with the engine running or, if the system is working properly, there should be enough air storage in the vacuum tank situated under the rear parcel shelf. You also have single diaphragms on each, that is the fuel filler flap and the boot locking mechanism. As you can see from the first picture, the diaphragms are moulded to the alloy bracket. The diaphragms can be bought from the dealers, or better still from the Classic Centre in the States, but disassembly of the alloy hooks (none illustrated) can be difficult on account of corrosion. It is also fair to say that the upper diaphragms are more prone to corrosion and splitting of the rubber as they are exposed to the ingress of water and dirt from 'up on top'. N.B. Not sure about replacement cost of diaphragms, but as you can see I have plenty of replacement items on hand - luckily ! I can add some further information and observations having fixed a member's 6.9 that persistently failed to hold pressure in the system. The problem seemed to be on the left hand side of the car, but to find where, and to be absolutely sure, required some exrensive checking. For anyone wanting to take on this job, this is ONE of the ways to do it. just not in the hunt. under the bonnet. Check that the two valves would hold pressure. emerges in the boot to feed into the reservoir. switch you have two vaccum lines running to all sections of the car. Yellow/Green is the unlocking circuit, Yellow/Red the locking. performs those functions by sliding from side to side. 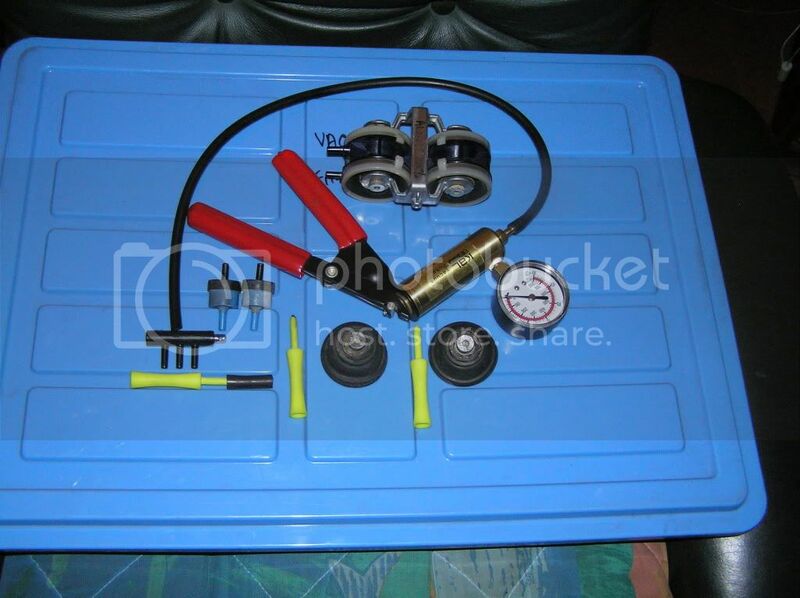 By this time, you will have located the area of leakage, and it is then that you are likely to need some spares. Diaphragms for the three doors (twin units), another master switch, the blue'black vacuum valves, the rubber grommet that is fitted to the reservoir tank, or the boot and/or filler flap units. Those have to be bought complete - no separate diaphragms available for those. They can be pricey. N.B. BTW, it would have taken the best part of about five to seven hours. If anything can go wrong,fix it! The hell with Murphy! I have managed on a few occasions when mine plyed up to park the car in a VERY quiet place and then listed carefully to locate any hissing sound. The common causes for loss of vacuum in my experiences are Cracked Bellows in the doors and cracked vacuum lines. The bellows have to be replaced with OEM parts, one assembly in the doors yields 4 bellows, so if you have to buy or manage to scavenge some from wrecked vehicles, don't throw the whole lot out. remeber to clean and lubricate the assembly, years of sitting inside the door cavity does lead to corrosion of metal parts. With the vacuum lines, I have found that most auto parts places stock silicon hose that will slip over the MB line. The lines usually crack in the areas aound the doors, over time opening and closing the doors and brittleness due to ageing combine to cause this problem. The silicaon is very flexible and I cut out the section near the floor and run the hose through the door to the bellows. This thread might be of interest to you oldarmy (boots)! !